This past January I launched the Practice Of Being Seen podcast with Marisa Goudy. Through conversations and interviews, we dive into stories, myths, and psychological insights that will shift the way you see yourself and your world. We look at how individuals can respond and create positive transformation - even when it feels like the world is spinning in the wrong direction. Over the last few weeks we've been diving into deep conversations with parenting experts that I wanted share with you in time for mother's day: a little gift of reflection in the midst of your everyday. It's my hope that the podcast helps to inspire some delicious introspection that helps to hold you and all the relationships that matter in your lives. When someone says “I’m failing my children,” it’s almost always because an external party is telling them they’re doing something wrong. The End Parent Shaming philosophy asks us to become aware of how we look at parents, understand that each parent has their own story, and step away from the deeply ingrained human propensity to judge others. Last week's guest is Mercedes Samudio LCSW, parenting coach and Amazon bestselling writer. She bring us into her own origin story of why she’s passionate about ending parent shaming. She helps us see parents through a different lens so we’re able to understand and respond with greater compassion. Catch the conversation that's so important for both parents and for everyone who believe that it takes a new sort of village to raise up the next generation and sweeten our world. After talking with Mercedes Samudio about what it's like to feel judged and shamed as parents we're offering a companion episode - a conversation with the author of international bestseller Simplicity Parenting. Parenting is often the ultimate stage. It's where we get a chance to see ourselves at our best and at our worst. Kim John Payne joined us to talk about what it’s like to watch ourselves at our best and at our worst and acknowledge how hard it can be to see ourselves so clearly. And we dive into a huge stress for parents: feeling unseen. Eventually, feeling unseen and unappreciated builds up a toxic charge. The antidote: stop trying to make every day “the best.” Instead of the super-sized family life where every kid is scheduled to capacity and parents become unpaid Uber drivers, there’s an alternative: hit the pause button. 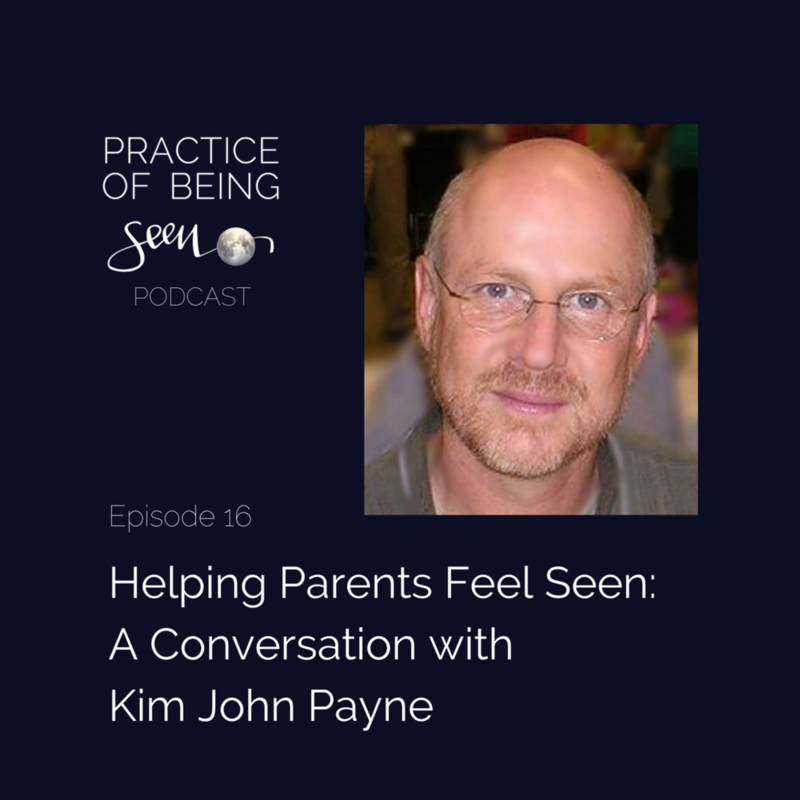 Listen to Helping Parents Feel Seen: A Conversation with Kim John Payne.